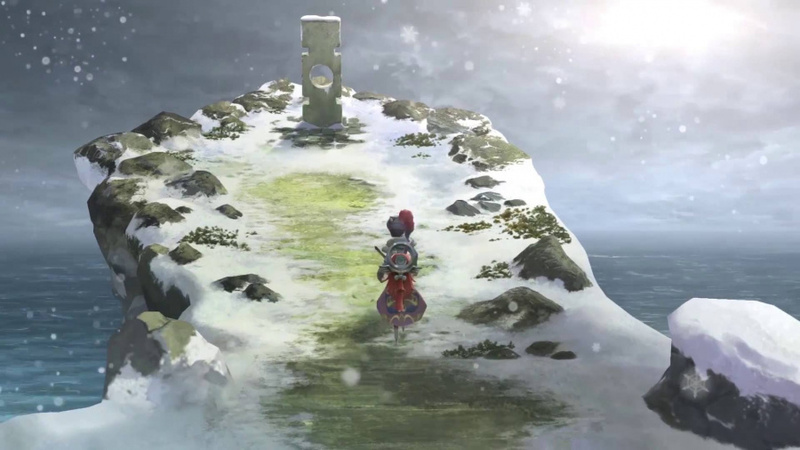 A while ago Square Enix posted a rather disappointing teaser trailer for the upcoming free update in I Am Setsuna - Temporal Battle Arena. It's a mode in which you can put your party up against others and, if you win the battle, earn some extra rewards. The good news is that the free content - which is exclusive to Nintendo Switch - is coming to the game on 13th April, and Square Enix has posted a new trailer to show it off. 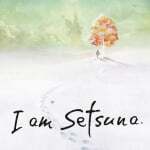 Are you a fan of I Am Setsuna, or is it still on your radar as a potential eShop purchase? I couldnt care less for that game and this update. But its good that the switch is getting additional content. "Gets a slightly better trailer, too"
Is this actually Switch footage this time? I really want a physical release for this, but unfortunately I haven't gotten around to importing it. I'm glad I can at least play that in English. I'm looking forward to playing this game but my friend beat it in 12 hours, just can't justify the $40 price tag for the content even with this DLC. I'll wait for the sale on this. The game looks great but it only makes me wish I win the lottery all the more tonight so that I can actually have some money to buy switch. I got my Asian English copy over the weekend but this is what stopped me from opening it up. May wait till it's on sale (I expect a fair wait) and keep the physical copy as a back up and shelf piece. Actually, wouldn't this auto update too? Ordered it from Japan and waiting for it to arrive. Nice to see this update! A update is nice but this really needs a discount $30 is crazy. I can never understand the pricing of digital games. I'm currently reading a screenshot Let's Play of this game, and well, I'm glad I'm not paying money to read this nonsense. Characters are weak and the game balance isn't there. And why do chapter-specific NPCs vital to the plot almost never have actual names? Who thought re-naming poison "sap" and yet having every enemy use attacks named "poison ____" was a good idea? Why are actually non-threatening, in appearance and gameplay, penguins a re-occurring enemy? I know they're going for the slime-style mascot but slimes can kill you, these can't. I could go on for a while, but to me this is in the same camp as Golden Sun, RPGs that seem to be hot garbage to me that people adore anyway. I don't get it. Loved this game on PS4 and bought day one for Switch. Still waiting on this game to slow-boat over from Japan. Good to know I'll get a little something extra for my trouble. Where did you guys order the game in Japan? I'd like to play it, but 40€ for the eShop version feels like to much. I'd rather have it physical and resell it after playing. @JaxonH technically there's also a Vita version from what I hear. But it never left Japan. @airsonist Amazon Japan. If you go in Chrome you can have it auto translate. Making an account and buying is very straightforward. I did eBay. $60, free shipping. But the prevoius link above from Amazon JP looks a way better deal. How bout dropping resolution and upping the fps? I would really like a Western Physical Release for this game... that and/or a discount. It's a wee bit expensive at $40 for a eShop Digital copy. I FINALLY just got my import physical copy this weekend, almost a month after ordering. Just getting into it so far. It's better than I expected it to be actually. Combat is fun. But it doesn't feel very exploration oriented like most RPGS, it feels more "stage based" with "grind area/boss/grind area/boss" in succession. Not very Chrono Trigger in that regard that had a huge area of exploration. I'm still early in the game though. Just did the boat sequence. A worthwhile purchase so far, depending on where it goes. Not too interested in a multiplayer expansion, but it's pretty cool that they're including one at all! Ya that one I've got. Bought it day one. But Vita is kinda low priority for me now. I typically only carry one handheld at a time, and now that Switch is out it's become my go to portable system. Even 3DS, which was my go-to for years... has kinda dropped off my radar now. Every time I see a game releasing on those systems now the first thing I think is, "man, wish that was on Switch instead where I'd actually play it". I still have them for playing at home though. Like when Fire Emblem Echoes releases, I'll make it a point to play that one. I wish the Rayman games would both come to Switch as a package, since Vita is the only handheld with a good release of Origins (3DS version is meh, same for Sonic Racing Transformed). Thinking back, Vita had a lot of potential in its early days. Shame to see it never panned out. That's ok though. Switch feels like redemption. Way cooler, way more powerful, detachable controllers (with a full button set- missing shoulder buttons and clickable analogs killed Vita with certain games which had to resort to touchscreen and rear touchpad taps... oh I hated that so much), kickstand, and guaranteed support from Nintendo all generation. I've been waiting for a handheld like this for sooooooo long. I wish there were more instruments other than only a piano playing all the time. @mikegamer Yes its an oldschool jrpg that doesnt even scratch old stuff in my opinion. But try it you like those. Nostalgia wasnt enough to make me enjoy this game. I dont really get nostalgia feelings for new games. Biggest problem for me was lack of essence and to much repetition (soundtrack sounds also pretty monotonous) and asset reusage. Because of a lack of games on switch i paid 40 euro for it and i regret it though i liked some old jrpgs. So i can only recommend waiting for a price cut if your unsure. @NintySnesMan yep, it's neat actually, if i load my NA account its all automatically in English and if it's on my JP account its automatically in Japanese! @JaxonH "Even 3DS, which was my go-to for years... has kinda dropped off my radar now. Every time I see a game releasing on those systems now the first thing I think is, "man, wish that was on Switch instead where I'd actually play it". Sooo much this. Echoes my feelings exactly! The music alone was worth the price for me. @Cosats Are you kidding? Those pieces are amazing. But a little variety never hurt I see where your coming from. Dude. It's $40 on PC , PS4 and Vita. On switch ots the same. I got mine import and came in on Saturday. I touch it and it quite promising. And it also includes English subs so that's a great thing. Lobe the artwork as its the same for Tokyo mirage sessions. It's a fun game. And it's show support from Square before we get the whole. "Not enough install base" stuff again. I paid 45€ to get it physical (including shipping fees, otherwise it was 40€) and I don't regret a single cent of that purchase. The game is great. Sure it's a smaller project, but if you can't appreciate it for what it is: a beautiful throwback to the best games of the 16 and 32bit era, then you're not gonna appreciate it even if it was cheaper. It's an under-appreciated title for what it offers. Started this a few days, haven't been playing this very long and yet I seem a bit far in. The only thing wrong about this game is the price. And now the Temporal Battle Arena, doesn't seem like a great idea. Just seems like an excuse to make people buy it. They could just add new areas with Bosses requiring characters to be about Lv99 to beat. I found that somewhat enjoyable in Final Fantasy. I do want to play this at some point but for now $40 is a little steep. I feel like after playing BOTW for 180 hours 20-40 hour rpgs will seem short. I really would like to see a massive improvement in the writing and storytelling of games in the Switch gen. Nintendo and 3rd parties alike. Yeah the style is pretty beautiful especially on the switch screen. Still gets monotonous pretty fast. But just because i didnt like the game doesnt mean you wouldnt. Many people here like it. But yeah the price seems a little high for many. Wasnt amazed by fast neo but it was still worth my money. Nothing really wrong with it and it has good music. @mikegamer Sry forgot to press reply. Answer is above. I dont want to edit my posts sry if this is offending someone. Ill be careful from now on. @MaSSiVeRiCaN I typically spend more than that just taking the family to the movies. I'm glad there are some games out there that can be fully enjoyed without requiring 150 hours of my time. Many times I never finish those or just lose interest.